Criminal Defense Archives - Robert J. Reeves P.C. Since the incident, the legislature in South Carolina has attempted to enact Emma’s law which targets first time convicted DUI offenders, and requires them to install an ignition interlock device in their vehicle. With the ignition interlock system, if the person blows a .02 or higher, the car will not start and hopefully keep that driver off the road and keep the public safer. The defendant at issue here, who was convicted, has agreed to appear before the state legislature to push for Emma’s Law. This law was recently been referred to the House Committee on Judiciary in 2013. Emma’s law is one of the harshest DUI laws that has been proposed in quite some time in the state of South Carolina. This new law, if passed, would require that even first time DUI offenders to have to blow into a special device called an “ignition interlock system” to start their vehicle. This system is currently a device that is used for only repeat offenders of driving under the influence. Since this blog was originally posted, the so-called Emma’s law was passed unanimously and will go into effect October 1, 2014, Now, if convicted of a DUI in which the blood alcohol concentration (BAC) level is 0.15 or greater, that driver will be required to install an ignition interlock device in all vehicles that they have access. This hope is this new law will discourage new DUI arrests and/or dissuade convicted DUI drivers from driving while impaired again. Time will tell. Seemingly, the only real deterrent to DUI arrests is more enforcement through checkpoints and public awareness campaigns to phone in suspected drunk drivers on the road. Can You be Charged with “Drugged Driving” in South Carolina? The accused has the right to have a qualified person of his own choosing conduct additional independent tests at his expense. The failure or inability of the person tested to obtain additional tests does not preclude the admission of evidence relating to the tests or samples obtained at the direction of the law enforcement officer. Id. §§ 56-5-2950(B)(3),(D). First offense – fine of $400 or imprisonment for a period of not less than 48 hours, nor more than 30 days; Or minimum of 48 hours of public service; offender required to complete an Alcohol and Drug Safety Action Program. § 56-5-2930(A)(1). Second offense – fine of not less than $2,100, but not more than $5,100 and imprisonment for a period of not less than 5 days, but not more than 1 year; offender required to complete an Alcohol and Drug Safety Action Program. § 56-5-2930(A)(2). Third offense fine of not less than $3,800, nor more than $6,300, imprisonment for a period not less than 60 days nor more than 3 years; offender required to complete an Alcohol and Drug Safety Action Program. § 56-5-2930(A)(3). Fourth and subsequent offense – imprisonment for not less than 1 year nor more than 5 years; offender required to complete an Alcohol and Drug Safety Action Program. § 56-5-2930(A)(4). So, if you or a loved one has been arrested, and your arrest falls under the purview of any of these laws and penalties, contact the law offices of Reeves, Aiken & Hightower, LLP toll-free at 877-374-5999 for a confidential consultation. 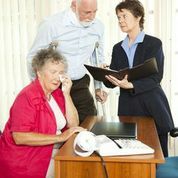 If you were injured on someone else’s property and trying to decide whether to file a lawsuit, it is a good idea to know how the responsible party’s insurance policy can pay out for your injuries. A standard homeowner’s policy typically includes two types of liability coverage. If you don’t file a lawsuit, the responsible party might file a MedPay claim with their home insurance carrier which provides limited repayment for injuries when a lawsuit is not presented. Most policies, however, place a maximum limit of $1,000 for this type of coverage. With medical costs rising this is often not enough to cover hospital and doctor’s bills, ambulance rides and other expenses related to your injury. If you decide to file a lawsuit for your injuries, the responsible party’s home insurance policy might still come in handy. The other type of liability coverage included in a home insurance policy is called personal liability protection. There are many reasons a person might choose to sue after such a mishap. Medical bills are costly, plus there are other associated expenses. The hurt party might miss weeks of work, or the injury could have negative long-term effects on the person’s health. These costs add up, and that is why many individuals seek legal action. Standard home insurance policies typically include a minimum of $100,000 for a liability claim. Again, however, coverage can be increased to as much as $500,000. Criminal activity and other exclusions apply. The following circumstances probably won’t be eligible for home insurance coverage: (1) Transmission of a communicable disease. (2) Mental, physical or sexual abuse, (3) The selling, manufacturing or distribution of controlled substances. So you know now how easily accidents can happen since you were the victim of one. So how can you protect yourself from the financial burden of a lawsuit? Of course, it’s always best to prepare for the worst-case scenario ahead of time. Consumers who feel that they’re at particular risk for a lawsuit can purchase umbrella coverage – which comes in increments of $1 million up to $5 million. These people might own a pool or live in a neighborhood with a lot of unsupervised children and worry that someone might get hurt on their property. Umbrella coverage kicks in once the limits of your personal liability have been met. It also applies to your automobile insurance once those liability limits have been met. Whether you’re the plaintiff or the defendant, it’s good to know about financial options when facing a lawsuit. When in doubt about your insurance coverage, get in touch with a licensed agent. A professional can answer any question you may have and get you the coverage you need. You can discuss premiums, deductibles and other important aspects of a policy as well. If you have been in a similar situation to the aforementioned, contact the law offices of Reeves, Aiken, and Hightower, LLP toll-free at 877-374-5999 for more information. Injury to property however is considered to be something entirely different and is a different type of “damage” that is typically covered by the defendant’s insurance company. Typically, the legal term refers to an action of negligence by one person, called the defendant, against another person, referred to as the plaintiff. The plaintiff suffers an injury at the accidental fault of the defendant through the defendant’s negligent act, and then sues the defendant to recover damages for their losses. 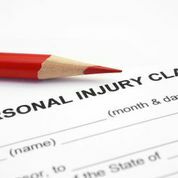 What most people think of when they hear the phrase “personal injury,” is that someone has been involved in a major car accident where the plaintiff was seriously injured. They would be entirely correct to make this assumption. These two claims often arise when the plaintiff has suffered mental injuries, and these injuries are proven by medical attention reporting such injuries. These injuries could include anything from PTSD to depression due to the accident. If you have suffered any sort of serious personal injury, contact the law offices of Reeves, Aiken, and Hightower, LLP to speak with one of our personal injury attorneys directly at 803-548-5444 or toll-free at 877-374-5999 today.